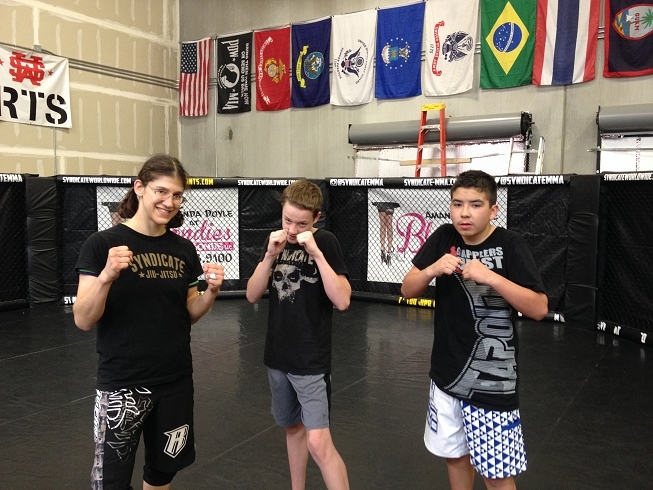 training, Teens MMA, Key the Metal Idol anime, fans, Alehouse UFC, my fight! Saturday was good, too. 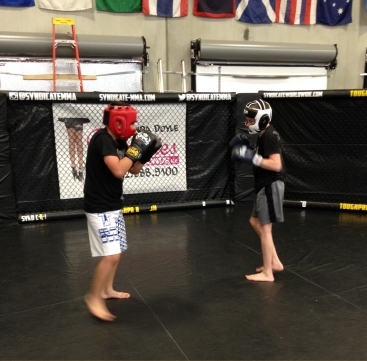 I did conditioning in the morning, then taught my teenager’s MMA class, then did kickboxing sparring. Two teens came, and one of them was new! Not new to the gym…I’ve seen him in jiu-jitsu. My three regulars didn’t come. If all came, that makes 5! (I can do math) but I’m excited it’s growing. I just want to add one weekday. Dillon said he’d join but then left the building and never came back. -_- I was bummed…I want to recruit him!! 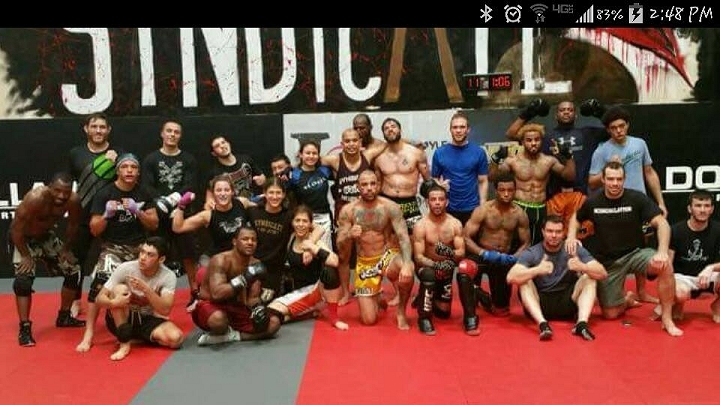 Our sparring group! 🙂 I sparred with this new guy, and was impressed that he hit me firmly but not enough to knock me out. I asked him later, “You must have sparred with girls before?” Hahahaha he admitted that he has…sometimes a 125lb-er went to his former gym. Dude, I get it. It’s not easy to hit a girl if you’re a guy, or know how much power. It takes …practice. lol Thanks, man! 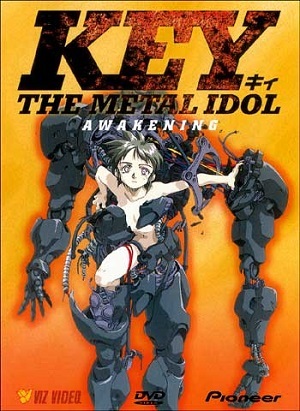 I’ve been watching Key The Metal Idol, this anime I started in high school like 14 years ago but never finished. I found kissanime.com that streams it legally for free, so yay! It’s about this girl who’s a robot and wants to become human. Her grandfather, who built her, told her she needed to make friends with 30,000 people and borrow their power, so she traveled to Tokyo and tried to become a pop star to get fans. But anyway, yeah! I always thought about this anime when I made friends with my fans…. but my little dream world was horribly shattered into a million pieces as I continued watching the series. What a confusing mind f**k of a series. It drags out and builds mystery after mystery until you are confused, and then in episode 13 (out of 15), two people have a conversation which “explains” all the mysteries all at once. I actually had to pause it because it was way too much information and it confused me more. Dude….maybe the TV ratings were bad and the show was gonna get canceled so the boss said, “We have exactly two episodes to wrap everything up.” It was bad. and STUPID. The answer to the mysteries were NOT COOL. Main characters I liked DIED horrible deaths. omg wtfff X_X;;; I’m super pissed at that anime. I almost wished I had never finished it. Late 1990s anime were weird…. Serial Experiments Lain, Excell Saga, FLCL, Evangelion, Key, etc…. I think I’ll continue Kenichi, the World’s Mightiest Disciple. I want to be John Wood’s Mightiest Disciple. hah. 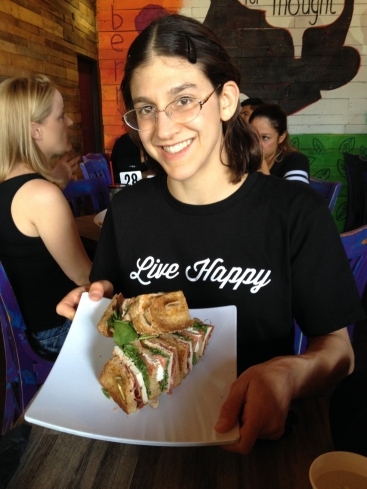 After sparring on Saturday, I went to SkinnyFats and enjoyed a super huge delicious meal called the MEGA HEALTH CLUB. omg…. 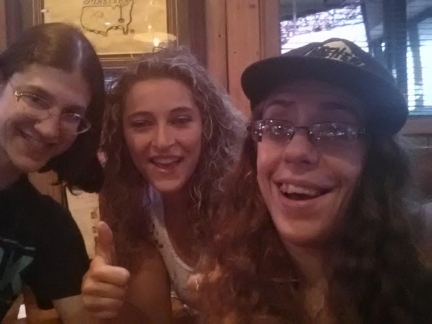 I watched the UFC in the Alehouse in Town Square with Hannah and Serena at night. Sunday, I was soooo tired. But I spent half the day moving boxes into our new apartment. x_x My thighs and calves are in good shape from conditioning! My knees are not happy with me, though…. Here’s an article about me…..that I actually wrote myself in the third person. I wonder if people will notice. I tried to not be unprofessional or anything like that. Oh yeah, one more thing. I made a video slide show briefly showing all my 30 fights in my MMA career in 5 minutes…. it’s pretty cool!